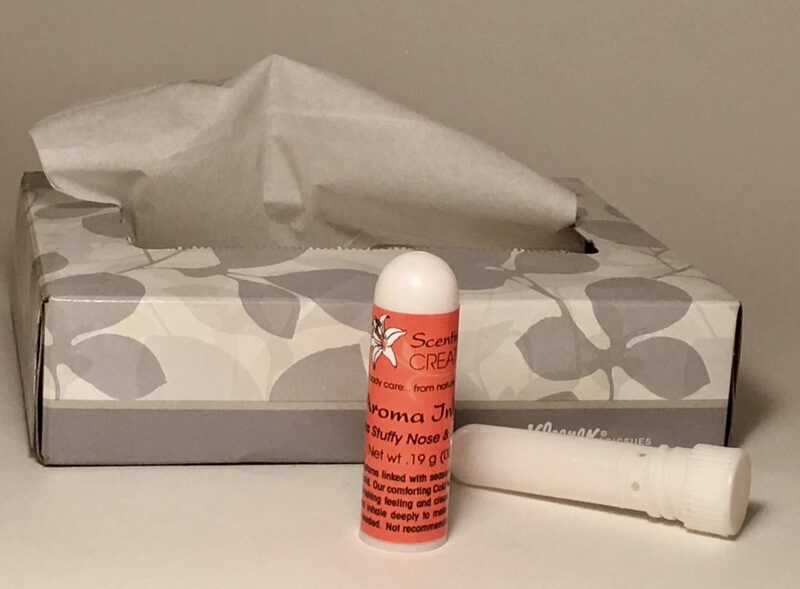 Aroma Inhalers, often referred to as sniffy sticks, nasal inhalers or essential oil inhalers. These inhalers contain a concentrated amount of essential oil and are a portable and convenient way to use essential oils when a diffuser isn't convenient or available. To use, simply unscrew the cap and raise the tip of the inhaler to your nose. They can be transported in your purse, briefcase, gym bag or backpack and are even small enough to fit in a pocket. They allow you to use your chosen essential oils anywhere. Relief for symptoms linked with seasonal allergies, sinuses, and the common cold. Our comforting Cold n’ Flu essential oil formula provides a refreshing feeling and clears nasal passages. Great for ‘scent free’ areas and a quick way to protect yourself when people around you are sick. Use as needed. Not recommended for children under 6.